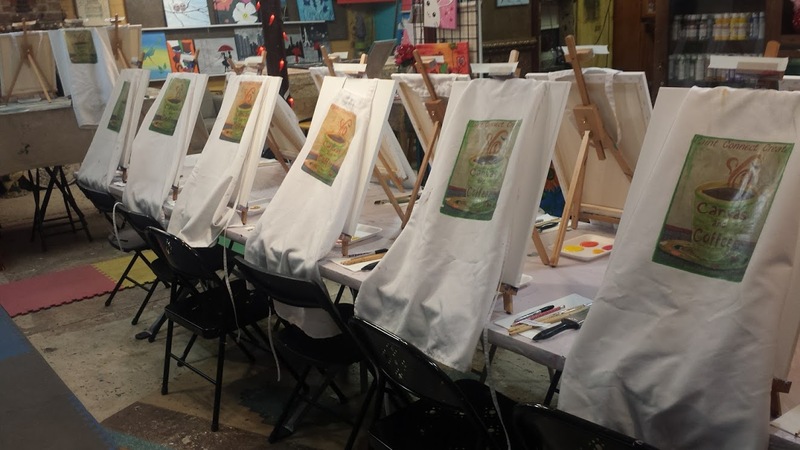 ​Grab your friends or your special someone and join us for a Sip-N-Paint night! Enjoy COFFEE, HOT TEA OR HOT CHOCOLATE while our artist instructs you step-by-step through creating your own piece of art! At the end of the night you’ll take home a one-of-a-kind painting and hopefully a new found talent! Go to the calendar and choose a painting and date. Get ready to paint, (fully instructed) drink coffee and have fun! We provide all supplies including an apron. Coffee, Tea or Hot Chocolate included in the price! We require that if you are attending a class, that you have a "PAID" reservation. We are a smaller venue and cannot accommodate​ "Extra" seating. 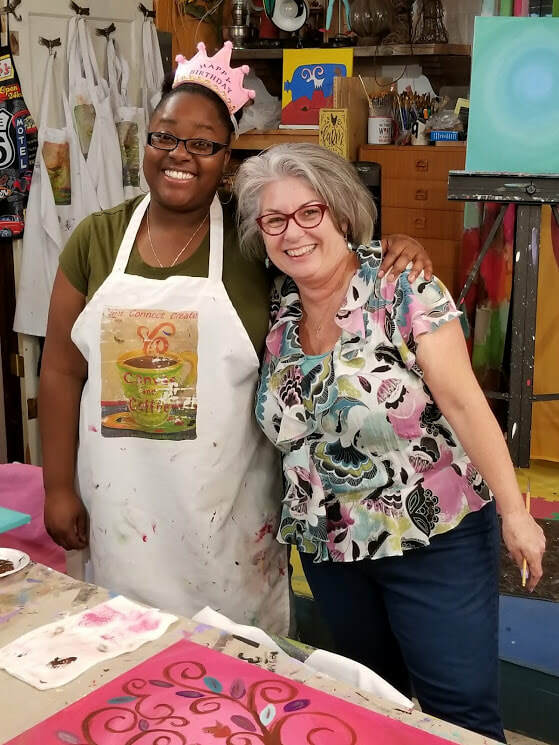 We look forward to you coming to paint with us! Birthday parties, Private parties, Home painting parties and Corporate Team building events. "Best Painting Birthday Parties EVER"!!! 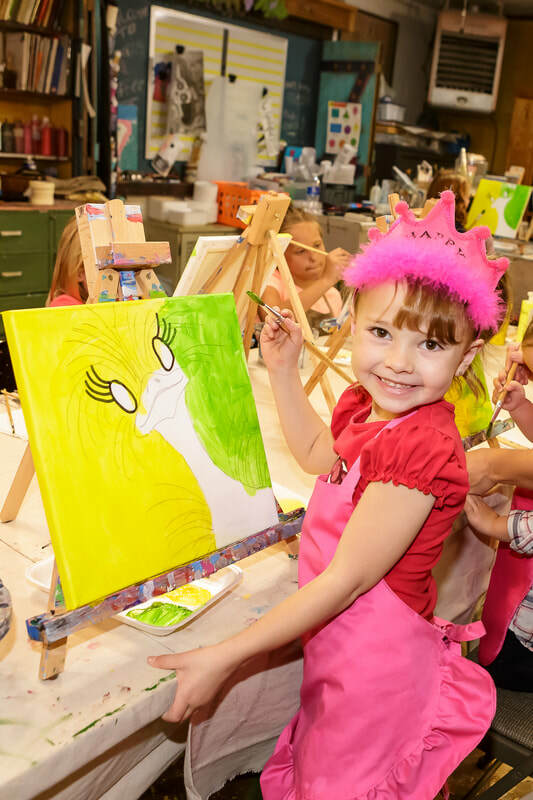 The "Painting Fairy" will give your child a birthday experience that they will always remember.